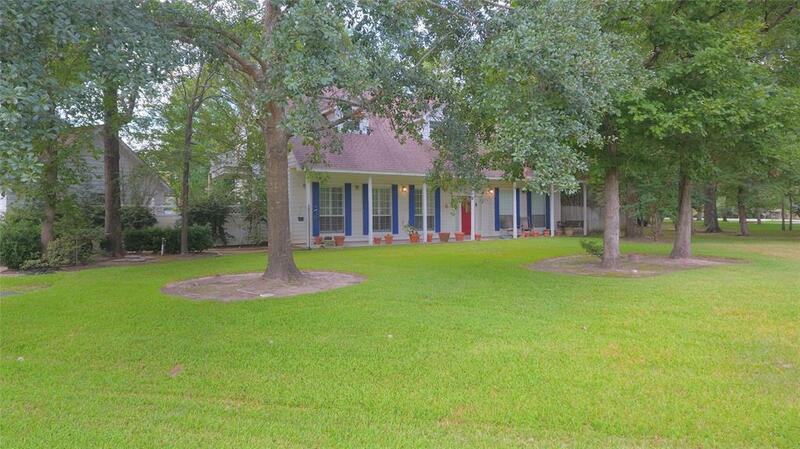 Spacious home located in the sought-after community of Carriage Hills on large corner lot with mature shady trees. 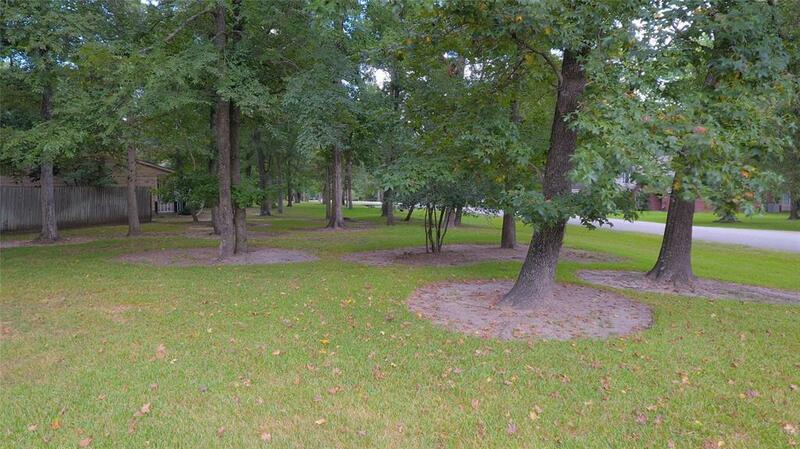 Close to all the amenities with a county feel this property has easy access to I-45, low Home Owners Association fees and Tax Rate, The Woodlands School District and convenient to shopping, entertainment, and restaurants. The neighborhood has a community pool, tennis courts, playground, ballfield and pond. This two-story traditional home features spacious rooms throughout. Master bedroom on first floor, game room and two bedrooms on second floor, both bedrooms have private balcony areas. Living room has wood floors and fireplace. Eat-in kitchen with granite counter tops and glass tile back splash. Enjoy the view from your covered front porch or relax in your backyard oasis. 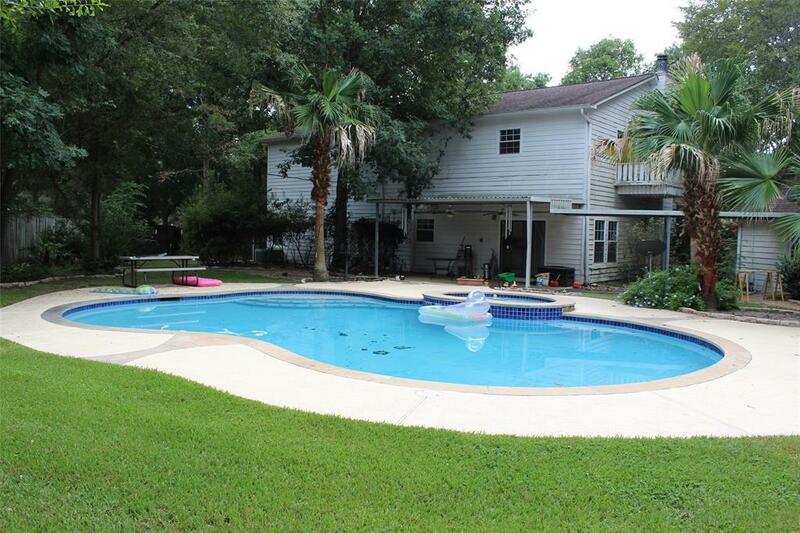 Large fenced backyard with sparkling pool and covered backyard patio perfect for entertaining. 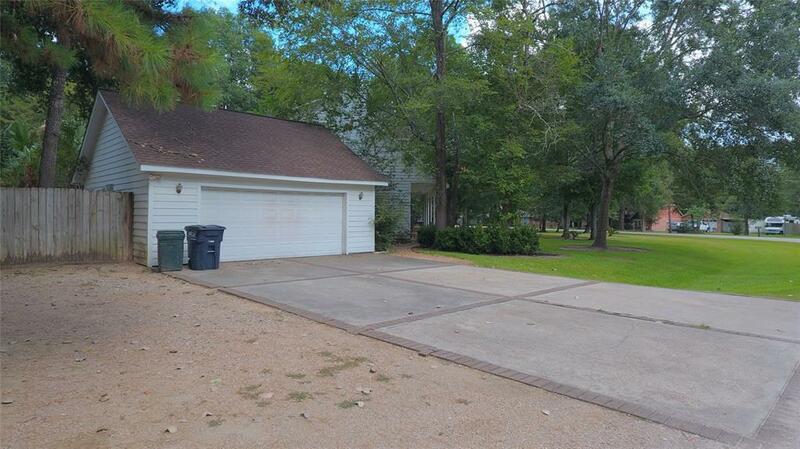 There is a storage shed on the property, sprinkler system and two car detached garage.